As the Zambezi Elephant Fund Coordinator I’m pleased to bring you this update of our achievements and plans going forward. The Zambezi Elephant Fund (ZEF) has been doing what it can to make a difference for two years now and the good news is that collaboration in the valley, which the Zambezi Elephant Fund is an integral part of, is growing in effectiveness – significantly poaching numbers are down on the same time last year.The Zambezi Elephant Fund has recently dispensed modest grants to its main implementing partners namely The Zambezi Society, Flying for Wildlife, Bushlife (anti-poaching) Support Unit, The Tashinga Initiative, Matusadona Anti-Poaching and Kariba Animal Welfare Trust. All of these on-the-ground partners also fund-raise independently but sometimes find this process difficult and time consuming. ZEF would like to be able to channel more support to these important “pockets of passion”. The anti-poaching reaction ranger base, Zambezi Valley Anti-poaching Reaction Unit – ZAVARU, is now complete. This was co-funded by the Tashinga Initiative and the Zambezi Elephant Fund. Besides its operational value, it is a terrific morale booster for the rangers and a known deterrent for poachers. (Implemented by the Tashinga Initiative). Several tented pickets/fly camps are in position at rainy season hot spots with a vehicle and driver at each to support rangers. (Implemented by Bushlife Support Unit). Weapon refresher courses have been run at three Park’s stations across the Valley. Shooting skills have measurably improved, individual confidence levels are boosted and team moral uplifted. (Implemented by the Zambezi Society). A month ago, the above initiatives converged underthe leadership of Zimbabwe Parks in a successful contact with Zambian poachers – one Zambian poacher died in the incident. We are continuing with our work to fund critical needs, e.g. rations for rangers in the Lower Zambezi Valley (Mana and Marongora in conjunction with Bushlife Support Unit) and food and materials for provincial meetings between parks and valley stakeholders, including an upcoming community. Anti-poaching access tracks were opened, prior to the onset of the rains, within Mana Pools and to the southern boundary. The latter has reduced deployment time to the remote southern boundary from 11 hours to 3. (Implemented by Bushlife Support Unit). 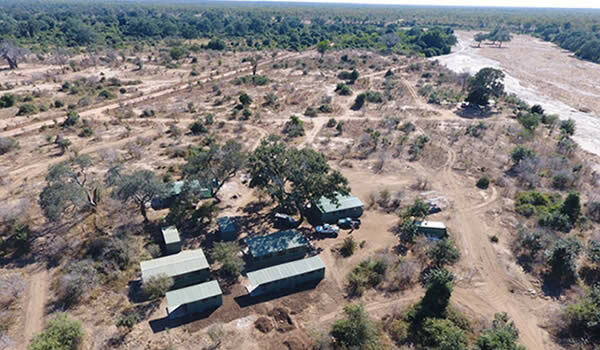 Pre-rainy season aerial surveys were undertaken, giving the four Area Managers valuable information and visual understanding to assist them with decision making ahead of the peak poaching period. Now that the rainy season is at an end, the program will recommence within the next two weeks from time of writing. (Implemented by Flying for Wildlife). ZEF is urgently working to find donor support for an anti-poaching patrol boat for the Zambezi River. A common vision and strategy with which to work together was agreed on after a very successful early March Cross-Border Collaborative Workshop, held at Chirundu (Zambian/Zimbabwe border post on the Zambezi River) between Zimbabwe Parks, conservation organizations and stakeholders and Zambia Parks conservation organizations and stakeholders. ZEF, together with Community-Based Conservation, Chief Chundu, the local community and other stakeholders are currently developing a model for community-inclusive conservation efforts, which also addresses their needs. 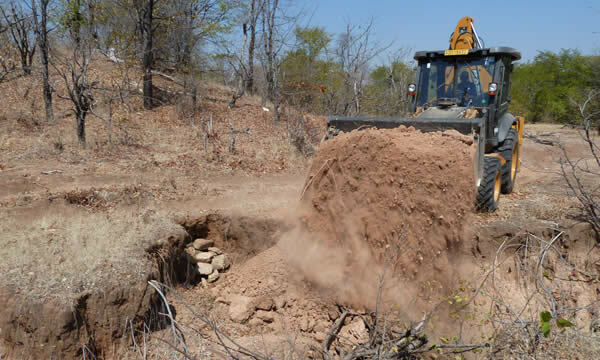 ZEF is channelling funds to The Tashinga Initiative to equip a new data-collection base at the Regional Zimbabwe Parks Office for the Lower Zambezi Valley, which is based in Chinhoyi. Your support has enabled a unique collaboration of skill sets, capabilities and resources to converge in supporting the Park’s rangers and their leaders. The courage and dogged determination of these men and women has resulted in fewer elephant being killed. As a consequence the many family units of these truly amazing creatures are blissfully unaware of “what might have been” had they lost their matriarch.Please also consider this challenge from Richard Branson and ZEF in your next round of giving.We still have so much to do and can only continue achieving our goals with your help. Older PostWHAT WILL YOU DO FOR WILDLIFE IN 2016?